When the Word of God comes to you either through personal study, in Church or through meditation, the thoughts that comes to your mind are very important. As you process the information that comes to you and start forming pictures with them in your mind, His Word is expected to change your own opinion of your finances, job, health and about everything that has to do with you. Romans 12:2 (KJV) says, “And be not conformed to this world: but be ye transformed by the renewing of your mind, that ye may prove what is that good, and acceptable, and perfect, will of God”. Who told David that the Lord was his portion of inheritance? He knew because he had a revelation knowledge. David was a man without the Holy Spirit. How about you that’s now the Temple of the Holy Spirit? When the Word of God comes to you, it comes as an irreversible process of transformation. Based on your new thoughts, you can speak and talk rightly. That’s what you must never allow your mind to form the wrong pictures. If you have the wrong pictures, delete them and never allow them to become a reality. It matters what you see with your spiritual eyes because God has given you a beautiful life. Unfortunately, not very many people want to accept that. David said in Psalms 16:5 (KJV) says, “The LORD is the portion of mine inheritance and of my cup: thou maintainest my lot”. Who told David that the Lord was his portion of inheritance? He knew because he had a revelation knowledge. David was a man without the Holy Spirit. How about you that’s now the Temple of the Holy Spirit? You should have more knowledge. So if you know that “The LORD is the portion of your inheritance” according to Psalms 16:5 (KJV), you won’t struggle for anything again. You won’t fight with anyone over an inheritance. This should be your mentality. That is the way God wants you to think. That’s the revelation He gave to Abraham in Genesis 15:1. He said to him, “Fear not, Abram: I am thy shield, and thy exceeding great reward”. It doesn’t matter what is happening right now, your future is bright. You are chosen. You are selected. While you are standing in the midst of others, someone comes with a beautiful gift for you. Why? Because the lines are fallen unto you in pleasant places. Because you have a goodly heritage. Abraham doesn’t want anyone except God to take glory for his wealth. This should be your mentality. That was the mentality Apostle Paul had when he said in Philippians 4:11-13 (KJV), “Not that I speak in respect of want: for I HAVE LEARNED, in whatsoever state I am, therewith to be content. 12 I know both how to be abased, and I know how to abound: every where and in all things I am instructed both to be full and to be hungry, both to abound and to suffer need. 13 I can do all things through Christ which strengtheneth me”. That was the mentality the Psalmist had when he said in Psalms 16:6 (KJV), “The lines are fallen unto me in pleasant places; yea, I have a goodly heritage”. The Contemporary English Version (CEV) says, “You make my life pleasant, and my future is bright”. What a confession! That’s the word for you today. It doesn’t matter what is happening right now, your future is bright. You are chosen. You are selected. While you are standing in the midst of others, someone comes with a beautiful gift for you. Why? Because the lines are fallen unto you in pleasant places. Because you have a goodly heritage. Brothers and Sisters, No matter the bitterness or trouble around you, in His presence there is Joy. Psalms 16:11 (KJV) says, “Thou wilt shew me the path of life: in thy presence is fullness of joy; at thy right hand there are pleasures for evermore”. Your feelings doesn’t reflect your nature on the inside. You are higher than your feelings. That you lost your job doesn’t mean that you have lost your nature. Now that you are born again you have to use your mouth to catapult yourself to a life of health, to a life of victory, to a life of success. Your mouth is your future. Use your own mouth. Nobody is going to use your mouth for you. God has made your life pleasant and your future is bright. Your future is guaranteed. Your future is settled. Your future is history to God. If you have the same Spirit that raised up Jesus from the dead, then have this consciousness. Abraham had it, David had it, Paul had it. Have this consciousness and rest knowing that it doesn’t matter what you have right now or what you don’t have; rest knowing that it doesn’t matter who likes you or who doesn’t like you, your future is bright. 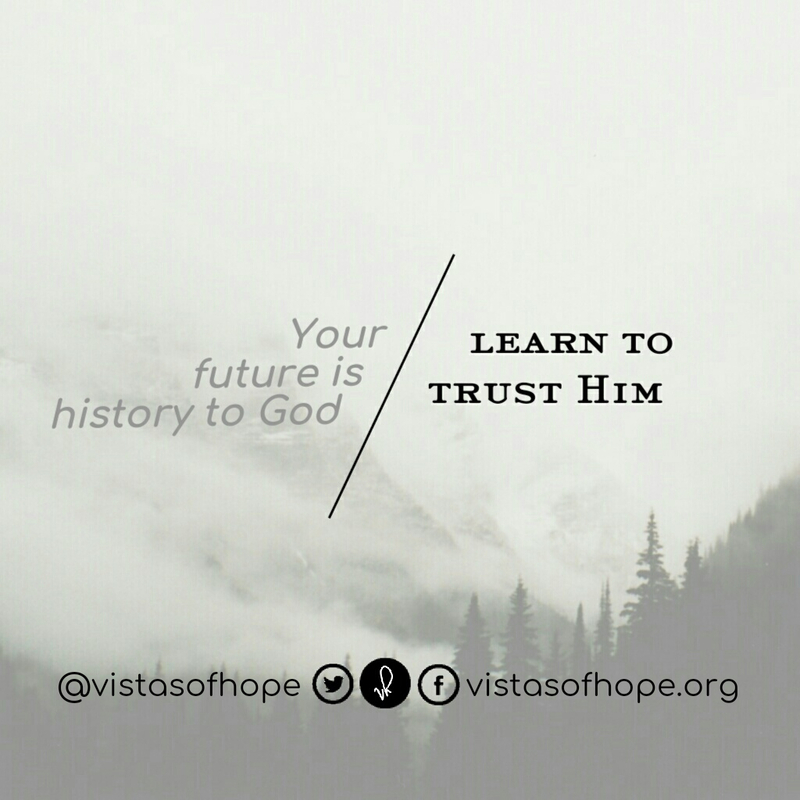 Your future is history to God. If they have diagnosed you with any sickness, your future is still bright and you are coming out of that sickness. You are coming out of that disease because glorious things are spoken of you. With his mouth David said in, Psalms 23:1 (NLT), “The Lord is my shepherd; I have everything I need”. With his mouth Paul said in Philippians 4:12 (MSG), “I’ve found the recipe for being happy whether full or hungry, hands full or hands empty”. God gave you the recipe too the day you gave your life to Christ so don’t keep quiet in that situation. It doesn’t matter if you have been in that situation for long, don’t keep quiet. His nature is in every fiber of your being. It is in your bones. Open your mouth and talk. Never speak your feelings. You are higher than your feelings. The moment you feel somehow, don’t begin to say it, change your confessions. Change! Your feelings doesn’t reflect your nature on the inside. You are higher than your feelings. That you lost your job doesn’t mean that you have lost your nature. Now that you are born again you have to use your mouth to catapult yourself to a life of health, to a life of victory, to a life of success. Your mouth is your future. Use your own mouth. Nobody is going to use your mouth for you. With his mouth David said in, Psalms 23:1 (NLT), “The Lord is my shepherd; I have everything I need”. With his mouth Paul said in Philippians 4:12 (MSG), “I’ve found the recipe for being happy whether full or hungry, hands full or hands empty”. God gave you the recipe too the day you gave your life to Christ so don’t keep quiet in that situation. Open your mouth and begin to declare things that be not as though they were. A lot of things are been organized by the Holy Spirit for your future. Accept it for it’s in your best interest. What will give you a victorious life has already been given to you. For everyone that requires healing, that healing is yours. Don’t focus on whatever is wrong in your body, focus on God and be blessed. Thank you for visiting Vistas of Hope. Connect with me on Twitter, Instagram and Facebook for curated daily inspirational words of faith, hope and love. And if you were inspired and found yourself saying “I needed this today”, would you share it with a friend? Thank you.